What constitutes a good offensive line? According to Football Outsiders, the Rams had the best pass-protecting line in the NFL in 2015. The Baltimore Ravens ranked at #2 followed by the Jets, Raiders and Cardinals. The Rams started Greg Robinson, Roger Saffold, Tim Barnes, Jamon Brown and Rob Havenstein. They started rookies at right guard and right tackle and used an undrafted center. In comparison, Dallas’ much vaunted O-line (including three first round picks) ranked #19 for pass pro. Nobody was talking up Havenstein’s pass-pro in college before he was taken in round two. The Rams started a converted tackle (Saffold) at left guard and used an athletic left tackle. Sound familiar? Jeff Fisher’s approach isn’t too dissimilar to Seattle’s. The top five run blocking lines were Cincinnati, New England, Arizona, Seattle and Kansas City in that order. So the Seahawks managed to do something right — and their priority is to run the ball productively. Put it down to Russell Wilson’s scrambling if you want — but Thomas Rawls still averaged 5.6 YPC in a fantastic rookie campaign. The key for the Seahawks is to improve from #30 for pass protection. Even rising into the early 20’s would provide a platform for a much better performance in 2016. Has this been a long term problem? Seahawks fans have had a love/hate relationship with the offensive line since the days of Walter Jones and Steve Hutchinson. Perhaps spoilt by the Hall-of-fame duo, there’s been a lot of fist-clenching during the Pete Carroll era despite fielding an explosive offense overall. Seattle’s line wasn’t given much credit for being serviceable in 2013 and 2014. It still enabled the offense to function as desired — run the ball emphatically and make big plays in the passing game. That was more or less the case in the second half of 2015 too. Why did they struggle at the start of the season? There was almost no competition in camp. J.R. Sweezy was never going to be pushed by Mark Glowinski and Kristjan Sokoli was one for the future. Alvin Bailey was underwhelming but so was day three pick Terry Poole. That led to Justin Britt being moved to almost an unchallenged spot at guard — with Garry Gilliam handed an unchallenged route to start at right tackle. With so little at stake — the Seahawks pretty much cobbled together whatever they could and trusted the out-of-his-depth Drew Nowak to improve (he never did and lost his job). Getting back to a 2013-14 level of play is good enough to sustain a deep playoff run. There was nothing particularly spectacular about Okung-Carpenter-Unger-Sweezy-Giacomini. It just worked. The Seahawks can create the right formula again — even without any major additions in free agency. It’s going to take better talent and better competition. 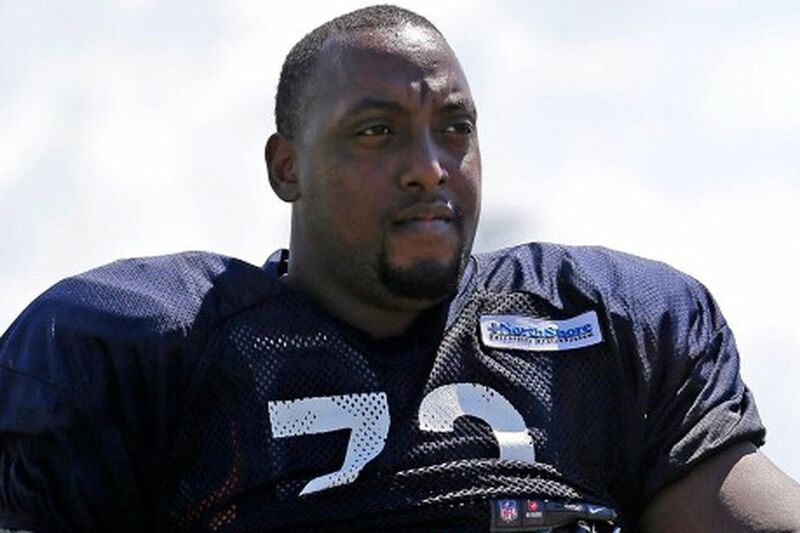 J’Marcus Webb signed with the Seahawks today, joining Bradley Sowell as a new addition to the O-line. Webb has tackle experienced and mauling size — just what they prefer at left guard. He could compete with Justin Britt in 2016. Webb started 16 games in 2015 for a Raiders O-line ranked #4 for pass protection. He’s being paid $6.25m on a two-year deal. That looks like starter money. They’re also still competing to sign Ted Larsen with the 49ers. He’d provide depth at center. The draft will provide options too. This is something the Seahawks simply didn’t have a year ago — competition. Let’s not underestimate how crucial that will be as they go about trying to find the right chemistry up front. The Seahawks, financially, were never likely to compete for the likes of Mack, Brooks and Osemele. Had they signed Boone, Allen or Schwartz — they’d have landed a decent, albeit relatively expensive, guard or right tackle. Is anyone seriously disappointed to miss out on that trio? Some of these players have generated minimal interest so far. The longer they remain available, the better value they’ll provide. If they want to consider adding a veteran later in the process — as they did with Wisniewski and Mathis a year ago — they’ll have that opportunity. The Seahawks are likely to spend at least two draft picks on the line — including a strong possibility they spend the #26 pick on a tackle and a second or third round pick on an interior lineman. While Tunsil, Stanley and Conklin are unlikely to reach the #26 pick — they should be able to draft one of Decker, Ifedi, Spriggs or Coleman. Clarke is a wildcard. All of the options here are well suited to playing right tackle — or even kicking inside to left guard if they sign a veteran OT. The interior line is loaded for rounds 2-3. Connor McGovern looks like he’s destined for the Seahawks — while Westerman, McGovern, Martin, Garnett, Glasgow, Dahl and a handful of others could come in and start quickly. All of this group will need a heavy dose of training and coaching in the off-season — but none appear to be as raw as Nowak or Gilliam pre-2015. Is it vital to sign a veteran offensive tackle? It isn’t. The benefit would be some extra flexibility in the first round of the draft. But there’s no sure-fire solution on the open market. Russell Okung hasn’t played a full 16-game season in his career and appears close to departing. Kelvin Beachum didn’t visit the Seahawks, is coming off an ACL injury and appeared to be a non-starter (he’s agreed a deal with the Jags). Donald Penn is 33 in April and strictly a band-aid. One of these three might provide some short-term relief. They’ll likely still need to be replaced down the line and you’re starting over again. What are the benefits of not adding a FA tackle? Getting younger isn’t necessarily a bad thing. It’s arguably time for an O-line to grow together, providing genuine consistency for more than a year or two. Garry Gilliam is 25, under team control at a cheap price until the end of 2017 and has the ideal physique, athleticism and skill set for a modern NFL tackle. So far, he’s also stayed healthy as a starter. Combining him with another high-ceiling, younger tackle with an ideal physical skill-set (eg Germain Ifedi) could give Seattle the most athletic tackle tandem in the league. Instead of seeing the relative inexperience of a line including Gilliam, Ifedi, Glowinski and another rookie as a negative — that could be four fifth’s of your line playing together for at least 3-4 years. Experience is important. So is talent, grit, athleticism, power and length. The Seahawks have a shot to field the most athletic line in the league. That’s not such a bad thing especially if you want to improve the pass protection. Could they make a trade? Never rule anything out with this front office. The NFL is full of bad offensive lines — and Seattle’s was particularly bad at the start of the 2015 season. Matching up physically and athletically is as important as ever against increasingly difficult pro-defenses. The Seahawks still have options to add to their line. They have time on their side in free agency and the draft. They might not be making the big splash (yet) that people expected or wanted — but that’s not necessarily what it’ll take to improve this area of need. If the Rams can rank #1 for pass protection with a line of Robinson-Saffold-Barnes-Brown-Havenstein — the Seahawks can find a way to upgrade their unit. Even if it’s not quite the way some fans would expect. One down and one to go. Hopefully, Okung will resign. If not, Beachum would be good. I read yesterday that Beachum was headed home to mull his options. Since he hasn’t been to Seattle I wouldn’t hold out that that is even a possibility. He wants to play LT and the Steelers would like him to move inside. He’d have that opportunity in Seattle with a longer deal. It all hinges on Okung. So, I can see a gentleman’s agreement of sorts from the FO to wait on Okung’s decision before the invite. That’s the class of this organization. He was originally reported to be visiting Seattle on Monday, then went to Jacksonville instead. It doesn’t seem like Seattle are in the running here. Webb is more of a RG/RT option than LG/LT. I think Beachum is the better fit for the void of Okung, if he does sign with Detroit. Webb could potentially compete for 3 spots, RT/RG/LG. Landing Beachum on a 3yr/21mil contract with a 6mil cap hit 2016 would be a coupé for JS. Adding Webb to the mix for a 2yr/6.5mil with Beachum would be, as Rob would say, “FANTASTIC”!! At least I got half of it right. If Okung does come back, at that price, that would be even better. Going after these lower level FA’s is excellent strategy. The one that I feel got away, perhaps, is Stephenson, who signed a 3 year 14M deal (4, 5, 5, with little dead money) with Denver. But just as an outsider looking in, he seemed like a nice versatile fit. I like the strategy they’ve employed thus far. I think there’s huge value in getting these 4-5 year experience, second contract, guys for cheap. They’ve potentially got the seasoning that coaching staffs around the league lament the rookies not having, but not a ton of wear and tear. Completely agree on the big time value. These guys hopefully have solid experience on what it takes to be an NFL pro. Also, you aren’t relying on Cable to make miracles happen with college d-linemen. Rob if you had the choice between the following two options which way would you go? For me, Option B. Clark is too much of a project. With Ifedi and McGovern you have two potential starters right away. Kelly is an excellent prospect though. Could it happen as Rd #1 Kelly and Rd #2 Mcgovern? You have your starting center and competition (hopefully starter) at LG. I suppose it could. But I find that very very unlikely. Interior guys aplenty in R2/R3 and even into mid R4. Value to be had there. Also the fact that Seattle is desperately short on OT prospects. We’ve been trying to fill those positions nearly every single draft. We should strive for at least 3. I wouldn’t consider Britt anything but an emergency RT at this stage. Resigning Okung means you can comfortably develop a rookie. Losing him means you need to get an OT that can reliably compete with the replacement quality vets of the NFL. I’d put that scenario at less then 5% probability. I agree, B in a heartbeat. The “competition” last year was basically experience vs. lack thereof. You had two guys playing spots they had never played before and probably looked like seasoned pros in comparison to Cable’s projects/rookies over the summer. The addition of Sowell and Webb adds inexpensive experience, which is underrated. Again, JSPC have thought it out much better than I/us. By signing just these two vets, they have taken the pressure off, if even just a little. We are no longer stressing about HAVING to draft OL early and often. That being said, I still think that is our best option. Get at least 1 guy who you can pencil in to the starting OL with your first 2 picks. I still hold out hope that Conklin falls. So look for Conklin, Ifedi, Colman, or Spriggs in the 1st. McGovern, Martin, Garnett, or Kelly in the 2nd. I know I’m all over the place. But these possibilities are exciting. B and D are out because Britt is at LG. I think I go A. Could even flip flop Webb and Ifedi. Just not sure if Sokoli is ready yet. Always been a fan of the athleticism and story. Gilliam – Webb – McGovern/Martin – Glow – Ifedi. I find it gives a pretty solid big board because it is a consensus of so many analysts. Good post Rob. Serviceable would be just fine for this line next year, as it was in 2013 and 2014. This is of course based on the limited resources available to address the line. The Rams statistic is surprising and very promising. Rookies starting aren’t necessarily going to be a bad thing. Another thing to add is that an offensive line’s performance seems deeply tied to the quarterback as well. Dallas’ line was flawless in 2014. An even more talented, more experienced line in 2015 looked significantly worse. The difference? Tony Romo vs. Matt Cassell. I’m hoping Wilson’s improvement at reading defenses and making adjustments help the line out next season as well. Very true….. quite a few of those early season pressures and sacks can be attributed to Russ trying to make something extra happen! er, in the first round, I mean. This class is really loaded. Easily as good as 2014’s was. And even deeper still considering the OC options in this draft to boot. Bleah this was a reply that seems to have been removed. Edited the comments Attyla. Didn’t want what seemed like a bit of a pointless argument to dominate the comments section. Good point. But all of the guys listed are probably going to be interior lineman. So using your info, a scenario where we take a OT prospect with our 1st pick, we can afford to go outside the OL with our 2nd pick. Not a bad idea. Exactly. This draft is so rich, there is a very real cost to spending an R1 pick for OC/OG. This draft is thick with interior linemen. Taking a Kelly at R1 is almost wasteful unless you’re set kind of everywhere else on the OL. Seattle pretty much could be in the market for adding 4 OL. Not that they will do that. Webb is pretty much a solid 2 year bridge hedge. But LG/OC/RG are really up in the air. At some point in 2016/17 we’re likely to try to fill those with quality rookies. In addition to a longer term OT option. And if we let Gilliam go after 2017, then we’re really looking at an entirely new OL across the board. 1. Every rookie we draft is going to have in essence three years of functional value (year one transitioning to NFL and our ZBS scheme). That pretty much means we’re adding 2 OL players in every draft. Hitting on two out of three. If you hit on more, then you can go with just one OL. If you miss on more, you need a bridge vet. And that’s borne out with our actual drafts (assume starting point of 2012 since we were building out OL in 2010/11. Five years counting. We’ve added a new player that has significantly factored in playing time every single year. Five years and seven new players slotted to start. And we haven’t drafted yet. Not one player resigned in this bunch. We finally hit the wall and had to bring in outside vet help. But the pattern couldn’t be more clear and consistent. We’re having to add essentially 1.5 starters every single offseason. So I think it’d be incredibly foolish to burn an R1 pick on the interior when we are going to need 2 guys to factor as starters in this draft probably. That’s just so we keep up with the expected losses from the 2012/13 class. And to account for the early loss of Webb when his deal expires. The nature of the roster churn in this position group kind of demands this kind of investment. Quick question: Does anyone know why teams don’t extend OL players a year before their rookie deals expires? I’m just curious if there isn’t some kind of economy that could be found by retaining OL prospects an extra year. I think the reason hasn’t extended anyone early is the cost. Players want to get paid on their second contract so they won’t extend for minimum salaries. 1. The zone-blocking system does not require a heavy investment in draft capital – some coaches have gone so far as to say they “could teach a garbageman to block in this system.” Cable has never said that and Seattle has used draft capital for key positions like tackle. 2. Seattle does not keep non-core players on 2nd contracts – that philosophy very much seems to be changing this year but up until now, the goal has been to use your cap space to keep your pro-bowl level players and let your other free agents walk. Replace departing players with rookies or cheap vets. Since the Hawks have 2 3rd round picks, would they trade up in the first to get one of the LT if they have a shot? Maybe. Probably more likely to trade up in R2 for a defensive player IMO. Thank for the reply Rob. If they do trade back into the R2, do they go after the LB from LSU? I think more likely they target OL, DL with first two picks — or go OL, OL, DL. Running back an option too. I would love for them them to go OL, OL, DL or LB with the 3rd pick. NEP trade Chandler Jones to ARI for Jonathan Cooper and ARI’s R2 pick in 2016. Wow that is not a bad trade. Interesting, this seems like a good trade for both teams. Jones is a good pass rusher (which is what Arizona needs desperately) but he also only has one year on his rookie contract left. Based on how this free agency went, if Jones doesn’t fall off catastrophically he’s probably looking at a similar deal to Olivier Vernon next year – $15 million plus. New England is cashing out now before they lose him next year, getting a 2nd round pick and a player instead of a 3rd round comp pick. Arizona is definitely going all in this year. Do they have any chance at resigning him next year? It looks to me like the Cardinals got fleeced. Looks like the Pats saw the monster contracts mediocre ends were getting this year and saw an opportunity to get something more than a 3rd round company pick for him. Pretty smart. Not sure the scarfs will be able to retain him. Anyone know what their cap situation is? Anyone can be signed. However, it has a domino affect to other players that also need to be signed. Britt was asked to move to left guard very late in training camp last year because Bailey failed to earn the starting spot. He may also have been bothered by an arm injury early in the season. Those excuses aside, Britt played poorly last season, particularly in pass protection. After a rocky rookie season at right tackle including poor pass protection, Britt enters 2016 in a make-it or break-it situation. Webb has the size Seattle like for left guard and I think he is first in line to compete for a starting job with Britt. Lewis improved the line calls when he replace Nowak last year and was a serviceable starter. The team loved Sokoli’s athleticism and kept him on the 53-man roster all last season even though he didn’t play. That shows how much they value him and I would expect him to compete this season. I worry that he may struggle with the line calls since he is a converted DT. If Seattle drafts a center, then they will plan on Sokoli competing for one of the guard spots or possibly right tackle. “Mad Dog” Glowinski is plugged in by fans as the replacement for Sweezy. He played decent in just one spot start last year. Webb started at right guard for the Raiders but seems to have the build for left guard in Seattle’s system. I am not encouraged by Sowell’s past performance. I don’t know how much competition he will be. If he beats out Glowinski, that is a really bad sign. This is Okung’s job if he returns. But, with his injury history, Seattle better have a backup capable of multiple spot starts. Right now the only player on the roster that I think is even capable of playing left tackle is Gilliam. if Okung leaves, we would need someone to compete with Gilliam for the starting left tackle spot. Gilliam was serviceable in his first year as a starter. He was better in pass protection than run blocking. His development and athletic profile has many (including me) projecting him as a possible left tackle. Britt could serve as a backup if he loses the battle for left guard. If Gilliam doesn’t move to left tackle this year, then the Britt/Webb/rookie completion at left guard may also produce the right tackle since Seattle tends to look for similar players at both spots. Both Britt and Webb have experience starting at right tackle. 1. Even if Okung returns, it is clear Seattle could immediately benefit from another tackle that could backup left tackle or perhaps spot start at right tackle, maybe even be in the competition as a rookie at left guard. Ifedi could do this. So could Coleman I think. We would need to get Ifedi at 26. Coleman’s health issues and inability to work at the combine or his pro day may mean he slides to 56. I would look for Seattle to bring him to the VMAC for a visit if they are considering him. 2. We need some competition for Glowinski. If that player has the versatility to play center in case the Sokoli experiment doesn’t pan out, even better. McGovern could do that. He is a 3rd-rounder I think. Dahl might be an option too and he could be there on day 3. 3. Center? Ryan Kelly at 56 (if he’s there) would provide competition for Lewis and allow Sokoli to compete with Glowinski at right guard. That is a nice double benefit but is it worth a 2nd? Has there been anything from the Hawks about using Sokoli at G? I don’t recall anything from PC or TC on that, just C. Lots of fans have discussed using him at G.
Sokoli is a guy I’ll really be watching this offseaon & preseason. On a team this loaded with talent the Hawks kept him on the roster all seaon long and rarely played him, even when the C position was in really bad shape. I know he’s a DL convert and raw but if Cable is the guru his reputation suggests there should be no reason Sokoli isn’t the #2 C next year, with a full year of weight training, practice, learning line calls etc under his belt. Unless he’s not applying himself well enough. Carroll said they wanted to keep Sokoli at center, make sure he gets trained at one specific position. That’s right, that’s what I’m thinking of. Thanks. He did. But it was also Sokoli who began the left guard carousel in early August when they clearly decided Bailey would not play there. Sure — but Carroll acknowledged that at the end of the season and said they wanted to keep him focused on one position going forward. To be fair, Greg Robinson was a #2 overall pick. I would have been ecstatic if they had foregone re-signing Kearse, Ryan, Sowell and landed Boone instead. Their cap hits wouldn’t add up to Boone’s and you’d need three replacements on the roster. Brock Huard said this receiving class is the worst in over 10 years. Plus there was very little to offer in free agency. Not to disagree with Brock, but I disagree. Plenty of #2 WRs and some diamonds in the rough in this draft, you’ll just need to polish them first. J’Marcus Webb is getting $6.25m/2 with $2.35m cap hit this year – by all accounts he was not that good last year. Kearse, Ryan, Sowell and Webb adds up to Boone in terms of cap hit. Boone replaces Webb. Who is Sowell replacing? Bailey? UDFA, min vet guy. Ryan, UDFA, 7th rounder, min guy. People are saying we still have money to re-sign Okung, so in this scenario you could still re-sign Okung and you have your starting LT returning, upgrade at LG, could still upgrade at center in round 2 or 3 in the draft and this gives you the flexibility to pick up a guy like Josh Doctson in the first round, who has every chance to end up as a better WR than Kearse in the long term and WR isn’t a vital need in the short term. LG and LT most definitely is. If only it was as easy as saying, “let’s just replace these four or five starters in the draft” instead. Rob, before you were very high on Nick Martin, stating that you would feel comfortable taking him at #26. Do you still feel that way? And if not, is it more due to a change in him, or just a feeling that he will last until around pick 50 (or later perhaps). By the way, what are your feelings on Tuerk, C from USC? I am very comfortable with taking Martin at any point in this draft. I’m a big fan personally. But I’m not convinced the Seahawks will draft him. Tuerk is an odd one. Weird size, what position is he at the next level? Hard to say. Martin could be that unexpected first pick Seattle takes, perhaps after trading back, especially if they address OT prior to the draft. I’m a big Martin fan — but as a skill-set he doesn’t exactly match what they’ve taken early. They have this desire for high ceiling guys…but for the O line I wish they’d just get high floor, low ceiling, ‘safe’ (as much as draftees are) bets rather than shoot for the moon potential guys. Martin just seems like a safe bet. It’s something we’ve discussed a lot recently — but there’s a very important reason why they go for a high ceiling. NFL defenses are getting more athletic every year. Guys who win with technique in college with modest physical skills are going to struggle against vastly superior defensive players at the next level. Plus what worked in college likely won’t work in the league. It’s easier to coach up elite athleticism to handle the superior talent that coach up modest athletes to succeed with technique. No doubt. But every move they have made in the first round (after taking Okung and Thomas – picks widely anticipated) have been totally unpredicted. Will this year be the exception? We think (at least the two of us, along with many others) that an OT will be the pick. But after that first draft, has anyone predicted their first round pick (or trade)? The closest would be Carpenter. Many of us thought an RT would be the pick, but I don’t recall anyone putting forward Carpenter’s name. Perhaps Rob – I don’t really remember. The point is, if they re-sign Okung (which seems increasingly possible) the first round is wide open. I’d be happy with any of Martin, McGovern, Westerman or Whitehair in R2, or Glasgow in R3. That’s why it’s hard to justify Kelly at 26. @AdamSchefter: Pittsburgh signing former Broncos OT Ryan Harris to a two-year deal, per source. Doesn’t look like Okung will be a Steeler. John Clyton mentioned Okung got a 4 year offer from the Steelers, but declined it. Love your reasoning and write ups, Rob. How lucky we are that you choose to follow the Seahawks. I think we will start training camp with one of the free agent OT’s and a draft pick OT as well. No need to get tooooooo concerned yet at all. It could be argued that not a single one of the realistic free agent options for whom we might have signed at OT are even unavailable yet. I think Okung will sign by end of day he is running out of options. Why were we not trying the sign Harris. At that price he seems like a good get for the Steelers. @RobRang: UCLA LB Myles Jack did not run 40 or shuttles today. 40″ vertical, 10-4″ broad jump. Doing positional drills. To hold own Pro Day April 1. No 40 but a 40″ vert and 124″ broad are pretty explosive results. And that’s a 245lbs and about 6 months from ACL surgery. @JoshNorris: Only 1 LB hit 40-inch vertical at the Combine: Travis Feeney. Jack is 15 lbs heavier. If Myles Jack was 100%, I’d take him with the 1st overall pick. He’s a modern day LB, but absolutely unique. Nothing this kid can’t do. Can even usr him down inside the 5 yard line as a goal line weapon. Incredible. And he’s not even 100%. I think the Titans would be foolish not to take this guy. 3 top 15 picks on the OLine ain’t going to wright that ship. They need playmakers and people to cause disruption and splash plays. The O Line all around the AFCS is garbage and having a disruptive defensive force keeps a team like Houston in most division games. Jack could be as disruptive as Watt. Laremy Tunsil isn’t Walter Jones by a long shot, but Jack could be as disruptive as Derrick Brooks. Is Webb starter quality and if so at what position? Can you tell me more about him? Thanks and Go Hawks! He started 16 games for Oakland in 2015. Could play right tackle or left guard. Oh I hope it is left guard. This is from Wikipedia, so who knows if it’s accurate (couldn’t find the original source). It wouldn’t be ideal to have Gilliam as your OL “veteran” going into next year. But when you consider his youth, durability, upward trajectory, and athleticism (according to Cable, can’t be beaten by a speed rush), I don’t think it’s out of the question to say he could be an upgrade at LT over Okung. Webb gets a 2-year, $6.25M contract with $2.5M guaranteed. More expensive than I would’ve thought, but still less than Sweezy by a bit. That amount of guarantee makes me think they see Webb as a starter somewhere (RT, LG). I suspect he’ll be competing at RT and LG. A first round rookie might be doing the same. I think Rob meant that Webb would be competing at LG, not Gilliam. I meant Webb competing at LG and RT. Gilliam is a tackle. I’d prefer Webb at LG. Draft a T in the 1st and let them compete for RT. If they struggle on the outside then turn to Webb at RT. With the depth of interior OL, we don’t need to trade up into the 2nd. But to guarantee you get a guy you like, let’s say Kelly/Martin/McGovern, it’s nice to have that option. @bcondotta: Webb’s average per year of $3.12 makes him highest-paid Seattle offensive lineman for now, and indicates a plan for a starting role in 2016. This is the kind of O-lineman ethe majority of Seahawk fans have been banging the table for. A tough, gritty, try hard guy, that gives it his all every snap. But, now even he isn’t good enough. Webb was bad, Volume. Just because the Hawks took him doesn’t make him suddenly good. Struggled in both run and pass. Derek Carr was in trouble all the time, running for his life. He developed happy feet because of his lack of protection, and Webb was part of the problem. Nice reference. Looks like OAK ran to the right side 81% of the time – 62% of of all runs went behind the RG (Webb). They averaged just under 4 ypc running to the right (3.97) – 3.68 ypc behind the RG (dead average for the NFL), and 4.44 ypc off the RT (4th in the NFL). Those stats are encouraging for his fit in SEA’s offense. And how is being compared to Carp a compliment to Webb? Carp wasn’t very good. You would have to think so at that money. It seems a little high. Might be a 1 year deal with some dead money next year. Still has to prove it or he’ll quickly go the way of Cary Williams. I honestly love this article Rob lol. It is like you took the responses I have been getting to my comments and wrote a rebuttal for me. I am 100% in agreement that getting OL talent in this draft and going younger on the OL isn’t the end of the world, in fact it could be a good thing. Start the building of cohesion and consistency now not in ’17. I love that you gave examples of rookies and UDFA’s and such playing on successful lines. I was getting a lot of heat in that category (“tell me of times rookie OLinemen have been anything better than average playing their first year!”, etc). I still do hope we grab a FA Vet LT, I do have some anxiety about starting the RT we would draft at 26 his rookie year at RT and moving Gilliam to LT. It wouldn’t be the end of the world to me but I’d prefer to get Okung or Penn or Beachum to LT and have the RT at 26 compete for LG with Webb and Britt. UCLA OLB Aaron Wallace 6’3″ 240lbs blew up UCLA pro day. Seattle needs a good functioning O-line, not great. If it is great, then it’s a bonus. It’s time to accept the fact that basically every team, but a handful, if that, have problems on the O-line. Welcome to the new age. We’ve talked about Seattle not changing what they do, and signing Webb and Sowell is evidence of this. They like what the like. Some fans can bang their head against a wall thinking, hoping, or praying they’ll change their strategy or m.o., but it ain’t happening. 100% agreed. No need to panic *now*. Although I would say this. If we come out of the 2016 draft and don’t take an OL player until #126 or later — I think I’ll be in a different state of mind. For me it would be the prove it draft. Either we know what we’re doing on the OL and I don’t know what I’m seeing on tape or it’s time to burn down whatever brain trust on the OL we have in house. Burn it down to the timbers. This draft has too much talent for us to Justin Britt it again. I’m guessing you’d be right alongside me with a torch of your own if that were to come to pass. Wouldn’t be too thrilled about it, that’s for sure. Would it surprise me though, regarding Britt? Not at all. Looks like LG and C are the 2 positions to upgrade. If PC/JS are truly convinced they need a stud LT, I would not be surprised to see them trade for a veteran like Joe Thomas. I questioned this possibility 2 days ago and now see some “247 Sports” site wondering if it might happen. The question I have is could we afford him? Maybe we could offer up Kam, too, and dump his salary if there is not too much dead money. Say our 1st and Kam for Joe Thomas and ???? I can’t remember what pick we got from New Orleans in addition to Graham when we traded our number one and Max Unger. Looks like we got a 4th rd. pick and Graham for our 2015 1st and Unger. Looks like Kam’s 2016 cap hit is $6.1 million and the dead money is $2 million — that is his “current” contract — you know, the one he is going to start whining about in a few months …..
Money would somewhat match. Wouldn’t need #26 for OT. You’d still have 4 picks in top 100. Including the coveted first pick on day 3. With 5 picks in top 100 (56, 65, 90, 97, 99) to fill one starter position. And could load up on depth. Using a roughly two year reprieve to cultivate project OTs during Webb/Thomas’ contracts. Attyla. Just curious. Are you a Cleveland Browns fan? It can’t be ruled out but investing a first rounder and a core player like Chancellor for a 32-year-old would be severely buying high. It’d almost be a sign of desperation. The only way I could argue this as a possibility would be if the holdout (and subsequent discussions about his contract situation) is still a lingering problem. The reality is, there is no way anyone on the outside will have visibility to that. It’s not in Seattle’s best interests to put that out there. Therefore it’s entirely speculative. But one rooted in plausible theory and complete lack of evidence. Seattle wouldn’t be making the trade in order to improve us on paper. I don’t think we can get to that point by dealing Kam. I could only see it in the context of a move to grant Kam the opportunity to get paid what he thinks he’s worth. Maybe it was a behind the scenes thing between him and the Seahawks that he conceded on his holdout and we concede that we can’t pay him like that now (or in the future) and instead we’d try to accommodate him by moving him. If it were a case of avoiding another similarly destructive hold out situation — I could see us making that kind of move. But we really have no way of knowing that’s the case. The first indication we’d have would be the explanation of a stunning out of nowhere trade. In that case not a move of desperation. But a move to get something of value while sidestepping another poisonous labor holdout. I think if the situation was that potentially disruptive — they would’ve dealt him by now. Or at least in the next few days as New England have done with Chandler Jones. If things were that bad — they’d take the best price and cut ties. With every day that goes by, to me it seems increasingly likely that there’s no issue. That Kam understands he lost that battle. We’ll see. I don’t see it as desperation. Rob – you have written about how many first round LTs haven’t panned out in the past. Well, if the Seahawks are looking for a sure thing (e.g., like Graham was viewed or like Harvin was viewed) why not use your first pick on a veteran (as long as you can afford to do so)? Like you, I used to think of Kam as a core player. I don’t anymore. Not only his whining about his contract, but his actual performance on the field has made him expendable IMHO. How many crucial completions were made to TEs running seam routes last year? Because that veteran is 32 this year. It’s an extreme short term option. I’m a big fan of Thomas — but at what point does he start to diminish? Giving up so much for a guy who is already into his 30’s would concern me. One thing to keep in mind…DiPodesta is an original moneyball baseball guy. Why is that significant? Baseball execs are much more accustomed to dealing a stud player when they know they can’t pay him (e.g. a year before FA) or when they know they have so many holes to fill that the window to compete will take several years and they leverage that stud for prospects to further along the building process. Hawks are in a win-now mode with a several year SB window. Their biggest deficiency is Oline and currently don’t have a LT.
Thomas has missed zero games in his 9-time all-pro career. Okung has yet to play a 16-season. Thomas could be extended a year or two to massage the cap. Even so, it’s a fAir contract for an elite LT. The lost 1st rounder may never be the player you hoped. Thomas at 9.5M probably won’t be widely more expensive than resigning okung (6M_7M?) + the $ owed to a first-round pick. It would be much safer to enter the draft only needing guard completion with your 2nd or 3rd than having to secure a rookie tackle. To me, it just makes too much sense to not be having this conversation with Cleve. Trading our 1st-round pick for Joe Thomas would be a bad idea. So many reasons. 1. Don’t need a great LT. Just need average to above-average across the line. If you *draft* better than that, great. But don’t *pay* for it. 2. Constantly dealing high picks erodes foundation of team. When the current core declines, nobody great on first contract to step in. 3. Think about trapped value. A player getting paid market rate has no trapped value. He’s getting paid (in theory) commensurate with his production. A player on his rookie contract often has *enormous* trapped value. Think Russell Wilson when he was getting paid peanuts. So you are not trading just a 1st-round pick for Joe Thomas, you are not trading the player you would have taken for Thomas, you are trading the player you would have taken, along with the FA you *could have signed* if you had kept the pick (and the cap space) for Joe Thomas, and the long-term value of having a player you could sign to a second contract. It’s a terrible idea suitable only for the desperate. With Sowell as a swing tackle. I suspect the seahawks use the remaining cap space to sign another veteran defensive tackle… And focus the first three rounds on the offensive line, linebacker and runningback. Rookies likely to compete at left guard, right tackle and center. Another vet lineman such as Larsen or Winiewski is a possibility, but Okung, Beachum and Penn are probably out of the question at this point. That’s an ugly unit. We can’t go into the season with that. Cards and Rams front sevens will destroy them. SEA kicking the tires on OLB/DE/OTTO Shea Mcclellin 6’3″ 260lbs, 32.75″ arms (Boise St. drafted but CHI in 2012, R1 Pick 19). 4.63/2.69/1.59 40yd, 31.5″ VJ, 118″ BJ, 4.33 SS, 7.07 3C, 19 BP. Always thought Chicago didn’t let him play to his strengths. The young age and impressive 10 yard split are certainly intriguing. Also assuming that he is a high-motor gritty gym rat as well. When he came out in 2012, his work ethic was highly praised and one of the main things teams liked about him. This could be a significant signing. I like the idea. Was he cut or a straight out FA? Could mess with the comp picks but could also be worth it. Okung resigning would effect it obviously, but if we entered the draft looking at this as our offensive line, I think we draft a tackle early, to compete and hopefully win the right tackle spot and then wed have Webb, Britt, Sowell and Poole competing at LG. Great write up as always Rob. It seems like we might only “need” to start one Rookie. Really worried bout Britt, I was never high on him and he doesn’t seem to thrive against competition as much as he wilts under it. I never liked him or Sweezy and if we can replace both in one off season, ill be real happy. If Seattle re-signs Okung, and with the shmoney just spent on Webb, I’m beginning to wonder if in fact they do take a C with their 1st overall selection. Now, it could be a guy that did play C in college, or an OT convert. I was just thinking that exact same thing. Yeah but they still need another tackle and this class is deep with interior OL. Why take Kelly at 26 and miss on Ifedi when you can have McGovern/Westerman/Martin/Glasgow later? Because the rookie tackle probably won’t start and probably won’t beat out either tackle. They aren’t going to draft a guy in the first round to sit on the bench and they aren’t going to pay Webb like that if they aren’t going to start him at guard with Okung and Gilliam on the outside. If Okung signs a two year (or more) deal yet today, all of our focus on taking a tackle early will probably be out the window. Seems to me I remember people saying the same thing about Matt Flynn. They paid him big money to be the QB, but ended up giving the start to a R3 pick. I agree with you Chawk. The Seahawks want options. They want competition because it makes everyone better. I have heard players say that even though they were a UFDA, the Seahawks gave them a fair shot as much as players that were drafted. I still think they will draft an OT with the 1st pick. It was more a ‘what if’ Okung returns scenario. Also, Oregon St OL Isaac Seumalo should be included in that group of interior O-lineman. Ifedi deserves a lot more credit than he gets. Depends on Okung’s deal. If it’s a “one year then try the market again” deal, we should still draft a top tackle. If Okung does re-sign, ‘Bama C Ryan Kelly becoming a Hawk keeps becoming more of a reality, odds wise. Okung isn’t back, OT in the 1st and C in the 2nd. O-line and improving depth, competition, and overall talent is the theme of this off-season, and I don’t believe it’ll change come draft time. Assuming Kelly and Martin are both gone at 56 I wonder if drafting a true center isn’t going to happen this year. I like the idea of drafting Dahl a little later on and seeing if he couldn’t convert to center after a year or two. Patrick Lewis isn’t spectacular, but certainly seems capable of holding down the fort. I think it’s more likely they add competition to the center spot (possibly with a guy who can also compete at guard) than take someone in R1. Still think Connor McGovern is an ideal candidate for that, with Dahl, Glasgow and a few others also in contention. I get that. It makes more sense. And OT is starting to look like a safe bet to pencil in with their 1st overall selection. Yes, McGovern screams Seahawk to me. Plus we all can agree at some point in the very near future the Hawks need to address OT regardless of what Okung does. Even if he signs we will still need to start grooming an acceptable replacement for him. Why not take that guy now @ #26 and have him for 4 years @ a bargain price. Then as others have pointed out on SDB grab an interior lineman that you’re high on. BOOM! all of the sudden our O line is looking significantly stronger,younger,more modestly priced and most importantly theyll have years to grow together collectively as a unit. I got my stack of chips on that option. Kelly/Martin for a pro bowl anchor for 8-9years. I just hope they take the near sure thing. Look at the bowl game tape again. Martin makes Darren Lee look like a JAG all game. OT Kelvin Beachum has signed with Jacksonville. Can’t wait to hear the terms on that one. What is their plan? RT? Compete with Joeckel? Word on the street is that he might take the LT spot…. and they give Luke Joeckel the boot. Rawls owes a bunch of that average to Wilson’s legs and the threat of the read option in the same way Chris Johnson ran for 2000 yards because Vince Young was in his backfield. I remain wholly unconvinced Seattle’s line would have been even average in run blocking without Rawls’s and Wilson’s talents. And Carroll’s philosophy notwithstanding, pass blocking is still more important than run blocking. This staff has earned the benefit of the doubt in every area but the offensive line. Maybe it’s just time to give the line some credit? Agree with Michael Terry. Russell Wilson and Thomas Rawls took a BELOW AVERAGE offensive line and made them look average. Nobody would argue the line played sensationally. But to not give it any credit at all is unnecessary. #4 for run blocking per F.O. and Rawls had 5.6 YPC. That’s not because he was dragging eight defenders for six yards every snap. I didn’t say the offensive line was poor. I said it was below average. Marshaw Lynch’s rushing average was 3.8. Thomas Rawls average was 5.6. Thomas Rawls made the offensive line look better than it actually was. The Hawks rushing offense was #4. That was because of Russell Wilson and Thomas Rawls. Number two. Seattle is totally committed to running the football. Number three only one team(Carolina) had more rushing attempts then the Seahawks. When you run the football more than anyone you should be ranked pretty high. I think the true colors of the OL is the fact that Marshawn Lynch had such a terrible conversion rate in short yardage situations (or anyone carrying the ball for the Seahawks in short yardage situatios these past years). Our line has made it so one of the great power backs in history can’t gain a yard when teams know it’s a running situation and are ready for it. It’s the anti-2005 situation where we had marshmallow $haun perfect at it, thanks to Walt, Hutch, Strong, etc. It was so bad and has been so bad that instead of giving Lynch the ball to gain one yard to win a Super Bowl, they threw. If your focus is to be a running team and you can’t hardly ever gain a yard on third-and-one… that’s pretty telling in a bad way. Instead, we’re so horrible in those short yardage situations that we usually spread everyone out and throw. I never suggested you claimed it was poor. I pointed out I think it’d be wrong to suggest the reason for any success was purely down to Wilson and Rawls. If the early report indicates that Webb is going to compete at RT, I wonder if that’s a negotiating ploy with Okung? Webb seems to be 100% a decent guard with the capability to play a well below average tackle. I don’t personally see any way he is anything other than our starting LG next season (with Glowinski at RG). I’m done with the Josh Barnett talk. We won’t be drafting a guard. A center, perhaps, but not another John Moffitt. Ryan Kelly just became a much more realistic option, especially if Okung resigns, imo. Website Issue: I often get an “Error Trying To Establish Database Connection” message. I keep trying and eventually get through. I’m having the same issue. I’ve asked my host about it and they’re trying to solve the issue. Dude, I get the same thing. I thought I was the only one and didn’t want to complain. Me neither, but it has been persistent and more frequent over the last couple weeks.Being a small business owner, who relies on my website, I certainly don’t want complain about a minor tech nuance that could become a can of worms to resolve. I thought I got banned for something I said about Ireland Loyalists…. Is J’Marcus Webb at 6’7 potentially too tall for LG and could he be a hindrance for RW at that height? Field Gulls opined that the numbers in his deal indicate a player the FO thinks can start at T or G.
Webb was my favorite lineman outta the guys they were reportedly interested in, so I’m definetly excited about him being here for the next couple years. His versatiliy is a major selling point. Britt, Lewis, Sowell, and Soko as depth is starting to look pretty exciting. At least for me it is. And keep Poole on the PS. I thought they were looking at Webb as more a RT prospect, than LT or LG. Webb started at both RT and RG for Oakland last year. Seattle’s physical model for players at RT and LG is very similar and Webb fits that model more than he does the Seattle model for right guard. I was hoping he was the LG to compete with Britt. He could be the frontrunner for RT if Okung leaves and Gilliam moves to LT. I was under the impression he was acquired to play RG primarily and give us flexibility @ OT? This is why guys like Ifedi, Clark, Coleman, Spriggs all make sense. Can play both OT positions and LG. Oh yeah totally agree. I think they’re looking to add as much flexibility as possible. Just saw a report out of Detroit talking about the potential of signing Okung and it said he was looking for $11-13 mil annually. Anyone who pays that with his current and past injuries is crazy. If he does not come back with us I hope he gets it. Might get us back in the 3rd round comp space. I think the is 0 chance anyone pays him that. That is the downside of no agent. There is no one to give you a reality check and temper the expectations if the market is not what you expected. If the Lions sign Penn and the Giants balk at his price he may have no other choice but come back to the Hawks on a cheap one year deal. I kind of get the feeling PCJS are already moving on though with the Webb signing. It seems pretty clear right now that Okung is in a no-win situation and will have to come to terms with a one-year deal somewhere where he can prove he warrants a big contract. I think you are right but he seems like pretty a proud guy. Yeah and Clayton reported his offer from Pit was 4 yrs and absolutely zero gteed money! Sounds like he is getting a serious reality check right now. With many teams filling their holes at LT via FA, I suspect some of the “best” LT in the draft might be available in the pick #20 range….. and I definitely think Seattle will have it’s pick of 3-4 guys mentioned at nausea on this blog. A thought occurred to me while writing the above paragraph…. and the news of the outrageous trade Patriots/Cardinals… perhaps Seattle can swing a deal with the Patriots for both of their 2nd round picks for Seattle 1st?!?!? I wonder if Seattle tried to trade for Chandler Jones. Didn’t they say back in 2012, had Bruce Irvin not been there, they woulda went with Jones? Jones was linked to Seattle in the draft I thought as well. I understand what why the Cardinals did the trade, but why give the Patriots MORE ammo in the second round….. and the Patriots are trying their best to never see Seattle in a SB again, by beefing up the Cardinals front 7. The Pats aren’t a team who is going to trade two picks for one like that. We are making assumptions on the Seahawks based on six year, which is good, but the Patriots have a track record of doing the opposite of that for a long, long time now. The Cards have an offer out there for Mathis. They are playing “win now,” too. I wonder how much Jones hurt himself to the Pats by his stupid incident during the play-offs? Seems like ‘Zona is or was desperate for a pass rusher. An instant impact guy. Not a great class to lean heavily on a pass rusher. Chandler Jones is an interesting case. Couldn’t stay healthy. When healthy, didn’t exactly dominate. His okay-but not great performance made him expendable, when Sheard came aboard. Ninkovich is still there. NE also like what they got with Geneo Grissom and some of the others. They got a good o-liner in Cooper, a rd 2 pick, and might land Chris Long. The question is, did the Cards get fleeced, or was this trade pretty even? Bad news for the Hawks both ways. Yep, just signed Chris Long. Perhaps I’m in the minority but I wouldn’t have minded getting Schwartz at the deal the Chiefs gave him. 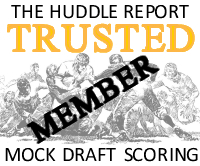 It allows you to move on from Okung and opens up your possibilities heading into the draft. Now if we don’t sign Okung or Penn I think we may have painted ourselves into a corner by having to take a tackle with our first pick. Seeing as what Britt and Webb have done on the field I don’t think that banking on either one of them to start at tackle opposite of Gilliam is a wise move. I was on the Bobbie Massie bandwagon. Chicago got him for a song and can cut him after a year with only 1 mil in dead money. Theoretically, the Broncos might make a play for Okung, since he is cheaper…. and let Ryan Clady walk. Would Seattle want to pursue him, he also has injury a history, but his talent/upside is topshelf! Seahawks met with LSU LB Lamar Louis. He said some teams like him at S, others like him as a RB. 5’10-5’11, 230 lbs. Seattle likes him as a RB. Yeah- I saw you mention that a post or two ago, and never got the chance to discuss it with ya. I like that potential move. Could definetly see it. He’s also got that southern Cal, tough upbringing, background that PC and this FO like. One of those guys that always had a smile on his face, played with energy, and seems to really enjoy the game. An interesting question we have now is what do we do in the draft if we do resign Okung? He would start at Lt, Gilliam at RT and Webb at LG. If you draft a tackle where would he play? If we only re-sign Okung for one year it might still be a wise move, even more so given Okung’s injury history. Maybe they beat Webb out at LG and start as a rookie. Webb’s contract would make it easy to move on from him after just one year. I think a Fahn Cooper in the 4th/5th would be more wise to develop for a year than draft a rookie in the first round to potentially sit on the bench as a rookie. I have many issues with this analysis in hindsight, Rob. First of all, stats do not ever tell the story accurately, and conclusions based on stats can be suspect. Stats obscure reality over time, “averaging out” things. Even within short time periods, and even within games. For instance, if a team fails to gain any yardage rushing for a long time, but breaks off one huge lucky run somewhere within this period, that one gain statistically can hide an otherwise terrible performance. A hot streak in the second half of the season hides a painfully bad first half of the season, and a playoff collapse. The mark of a good unit is consistently good performance, over short and long time periods. Not up and down. Consistency. And even more importantly, consistency WHEN IT COUNTS. Against the top opponents. Right now, the Hawks o-line is just not good. Short on both experience and talent. Conversion projects. Many unknowns. Britt? Sweezy? Never consistent, frustrating. Okung, the best of the veterans, is borderline. And as for Breno and Unger, you undersell them here. They were good—and more importantly smash mouth tough. Carp was a mauler, too. I’m sorry, but we should be “panicking”, at least very concerned. I am all for veteran plug-ins, but not BAD veteran plug-ins. Brad Sowell and JMarcus Webb fail to impress me as worthwhile signings. They are just JAGs. Both were not top performers last season. Both got beat a lot. I watched many Raiders games, and Derek Carr had no time in the pocket. Some of the still unsigned FAs are far better than either. Ted Larsen, if he comes on board, will be another rotational, slightly more solid resume but still just JAG plus. As for other teams. Rob, your depiction of the Rams o-line fails to appreciate the talent and depth that they have. Havenstein was, in fact, coveted by a good number of teams. NE was one team that I believe had him targeted but missed. Overall, this piece seems to be an attempt at “glass half full”. In this optimistic mindset, you hope that the conversion projects all blossom into studs and experts at their craft in a hurry. They have to nail the draft (three starters) and sign a good starting (better than JAG) FA or two to make me feel positive. You’ve provided zero counter evidence there. Just negativity for the sake of it. The Seahawks were consistent on the O-line in 2015. Consistently bad until the bye, consistently good after it with a nightmare performance against an amped up Panthers team on the road. They didn’t lurch from one week to the other and you don’t need me to tell you that. You don’t get 5.6 YPC breaking off the odd run, or rank consistently year after year in the top five for rushing. Again, more counter argument with no facts — just negativity. You say Derek Carr had no time in the pocket — yet Football Outsiders say the Raiders protected Carr to the tune of a top-five pass protection unit. I’m willing to side with them on that one. Suddenly Rob Havenstein isn’t just a rookie — he’s a highly coveted potential Patriot. OK. I provided an argument that had a positive slant but I also think was decidedly level headed. I think it’s slightly dismissive to call it simply a ‘glass half full’ article based on the evidence it provides. If you want to wallow in panic — feel free. It’s totally unnecessary though. I didn’t say you weren’t level-headed, Rob. Just hopeful, and putting a positive spin on things. I, on the other hand, am a pessimist. And I am even more of one watching JSPC sign guys like Sowell and Webb, both underwhelming and not missed by their former teams. Forget what Football Outsiders says. Watch some Raiders film, particularly later in the season. I watched many of those games closely. Carr was harrassed, ran for his life, developed happy feet. Literally developed a habit of running backwards to escape pass rushers who were on him within 2 seconds. Their o-line was NOT good. That is why there so happy to sign Osemele and dump Webb, who was weak in both pass and run. Whiffed a lot. Like numbers and stats? Pro Football Focus ranked Sowell the worst tackle. Why was he worth a contract? Havenstein was not a nothing coming out of college. And the Pats were interested in him, didn’t make that up. Sure he’s a rookie. The point is, StL did a good job scouting him and Saffold, who is also not a nobody. Just my personal opinion — but I trust Football Outsiders’ team analysis considerably more than PFF’s individual grades. Nobody suggested Havenstein was a nobody. It was noted he was one of two rookie starters. Something the Seahawks likely go with in 2016. Havenstein was the 57th player taken last year. He had a solid rookie season. SEA have 2 picks before that spot in this year’s draft. I suspect they’ll take an OLer who can make a Havenstein-like impact with at least one of them. JSPC has now gone directly against PFF. They took PFF’s worst ranked tackle in Sowell, and the worst Raiders o-liner in Webb. Hm. Who else does PFF rank at the bottom? Welcome to the Seahawks! If Okung wants to enhance his ’17 value, provided he signs a 1-year “prove-it” deal is for him to sign with the Lions. With the Packers and now Vikings, there’s no way the Lions are going to the play-offs. He’ll only play 16 games (use the term 16 games and Okung loosely) and he’ll be done in early January. If he signs with the Seahawks, he’ll be playing well into January and perhaps February and have more chances to get hurt. If he’s about the money, he should sign with the Lions. I don’t understand the negativity by some fans on the Sowell and Webb signings. I think we can all agree that Seattle will draft o-line early and often in this years draft. Would you rather this rookies to compete with seasoned veterans who have started entire seasons? Or training camp defensive tackle converts who haven’t played a single NFL regular season snap? No, Sowell and Webb aren’t Osmele and Penn, but we were unlikely to sign them in the first place. Trust me, Webb will be no worse than Gilliam was at right tackle, and he could be beaten out by a rookie still. I hope you’re right about Webb. Everything I’ve read (other sites) suggests his ‘better’ work came at RG, but that he was atrocious when he bounced out to RT. Nichansen01, the “negativity”—which I share with many—is that these two signings are highly questionable given the past performance of each. They have experience, but they haven’t been good. I want to see early o-line draft picks good enough to start and perhaps become great, competing against veteran plug-ins on short contracts who are good enough to lead a Super Bowl run over the next year or two. It is this second part that I am not seeing with Webb and Sowell. Now all of the negativity could be dispelled if both become excellent because of the change of scenery and new team, rendering the past irrelevant. We’ll just have to see. In the meantime, don’t expect applause. There’s no reason to be negative towards Sowell one single bit. He started at LT three years ago and, sure, he wasn’t good but was young and got a lot of experience in an offense that is totally different than ours. Could be scheme. Perhaps a different scheme with more experience will make him a serviceable option. Maybe Okung comes back and misses his customary month of the season like he always does? Having Sowell around will be a nice insurance policy. It’s like he’s like Cary Williams one single bit. That dude was overpaid to start. He’s not. I love the signing. Low risk, decent reward. If he doesn’t work out, does it really matter? It’s not like we’re going to have dead money next year wrapped up in him (like Williams). I don’t think the Seattle front office is just randomly grabbing guys. They obviously see them as adding value to the team somehow. Whether that is a starter or maybe even just their to push the young guys that we all want to draft to be better sooner. The fact that they didn’t go get a big name furthers the chances that they plan to spend serious draft capital on the oline this upcoming draft. Keep the faith fellas! Rob, you started pushing the value of Coleman, then advocated for Martin for the center position. Talked about Dahl, and then some running backs. Eventually, you talked about Ifedi, and now seem to prefer him to any other OL to take in round 1.26. My question: Did you know in advance that you liked Ifedi more than the others or did you gradually come to that decision, and if your analysis of Ifedi changed, what changed it? I try to project what the Seahawks are likely to do. I think Shon Coleman is a top-25 talent, ditto Nick Martin. I think Ifedi’s very good too. But I have to try and project what the Seahawks will do, not what I think personally. I think it speaks to the depth of players we cover that we can talk positively about so many different options instead of banging the drum for one guy repeatedly. That way if the Hawks draft 3-4 of the players we’ve talked about — the blog is doing what it’s supposed to.